It’s pancake day today and there’s no better way to celebrate than making a delicious stack of pancake. 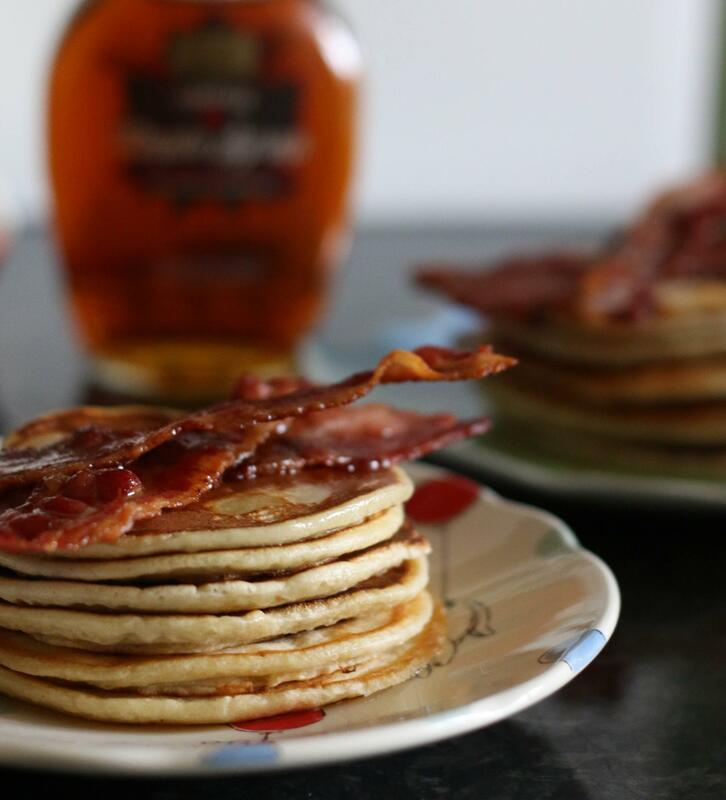 I love to make pancakes throughout the year and I love thin pancakes with lemon and sugar, however I equally love fluffy american pancakes and wanted to share my current favourite recipe and combination that I’ve been enjoying the past few weeks: bacon and maple syrup. 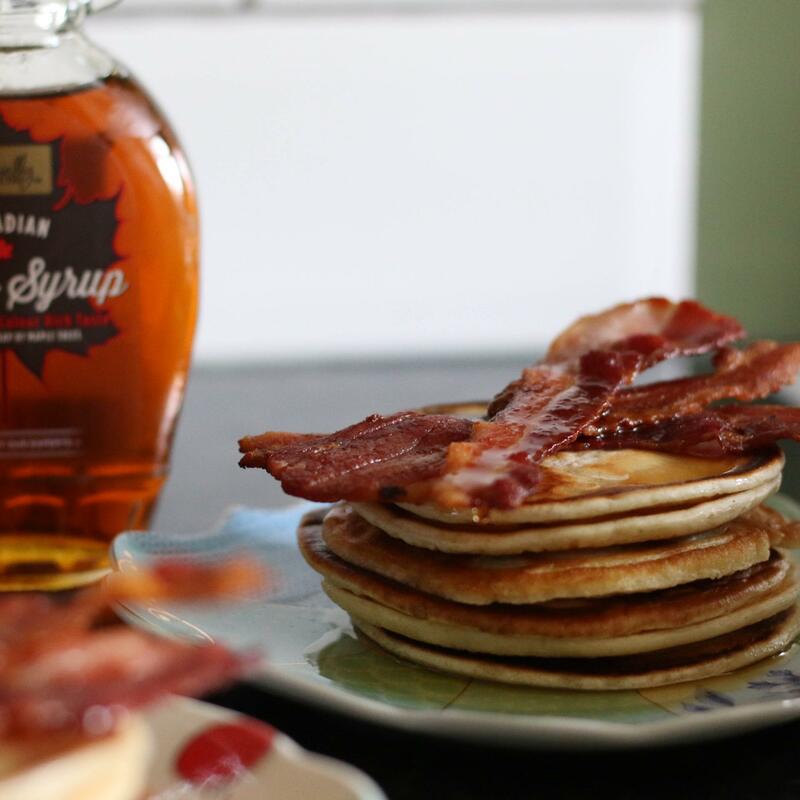 If you’ve never had this combination before you might think it sounds a little odd, however it’s honestly amazing and the bacon and maple syrup both compliment each other perfectly. This is the best fluffy american pancakes recipe that I have tried so I couldn’t not share this recipe with you, it will make 12 fluffy pancakes. 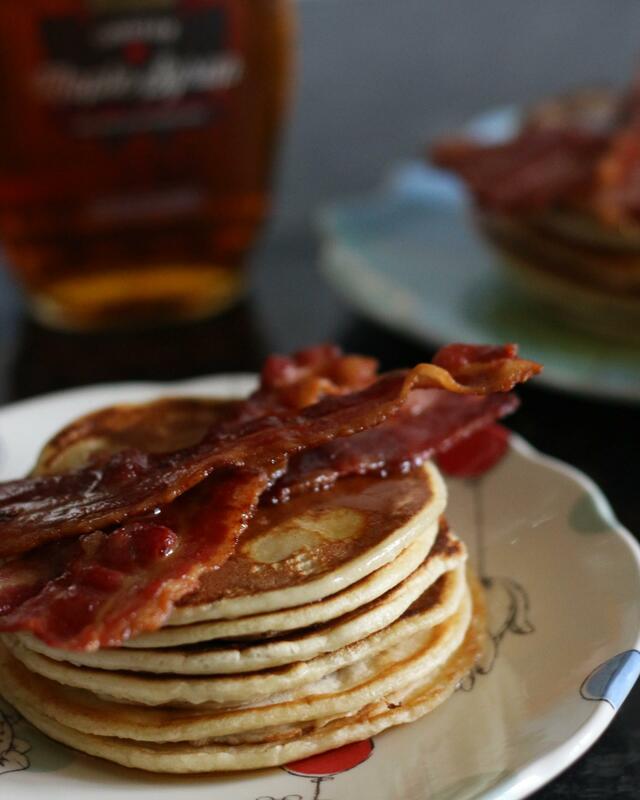 I always use streaky bacon when I’m having pancakes are they’re delicious when super crispy. Just a warning, they are very moreish! In a large bowl beat together the egg and milk. Then sift the flour and baking powder in, beat until smooth and all the little lumps are gone. 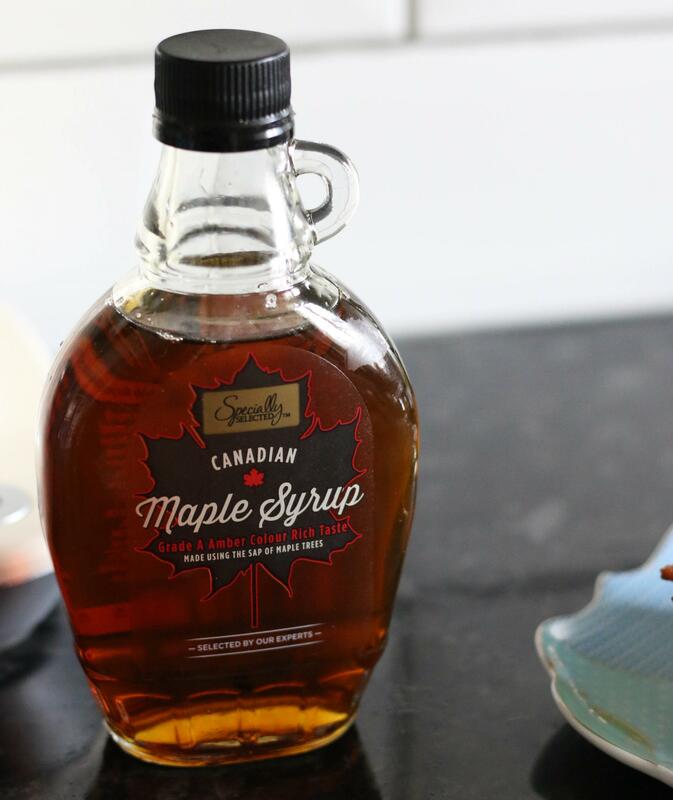 Add a little maple syrup (around 1 tbsp) to the mixture if you want to add a little more sweetness. Heat up a non-stick frying pan and add a small amount of either butter or oil. Use a ladle to pour the batter onto the pan. When the pancake starts to bubble turn over, then keep flipping until both sides are golden brown. In a separate frying pan start cooking the bacon, you’ll know they’re done when they’re crispy. 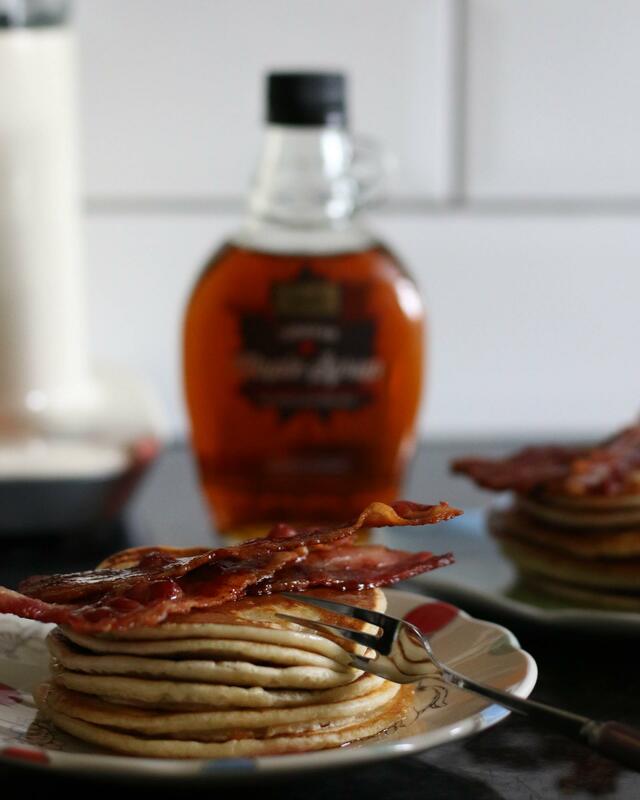 Serve the pancakes and top with the bacon and maple syrup! Just a little tip, put a small amount of butter in a saucepan on a low heat and pop each pancake into the pan with the lid on after cooking. This will keep the pancakes lovely and warm whilst you cook the other pancakes. 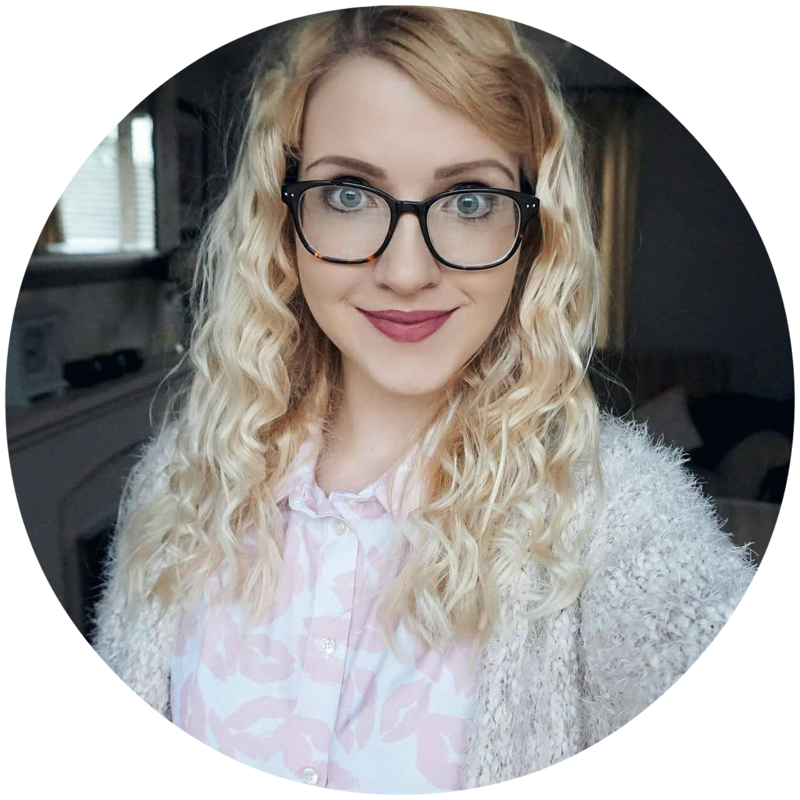 These are my current favourite pancakes to make and I’d love to know what your favourite toppings are too!